This weekend is the 33rd annual Plymouth Art in the Park. It is the second largest art fair in Michigan and one of the largest in the country. The streets surrounding Kellogg Park in downtown Plymouth will be brimming with hundreds of artists from around the country displaying everything from paintings and photography to fine jewelry and woodwork. This fun filled weekend also includes food, music venues and several children’s activities including the decoration of a thousand foot mural. Close to 300,000 patrons will grace the streets of Plymouth meandering the artists’ offerings looking for the perfect piece to add to their collection. What about the artwork already gracing the walls of their homes or the paintings tucked away in the attics that are in desperate need of attention? Search no more. 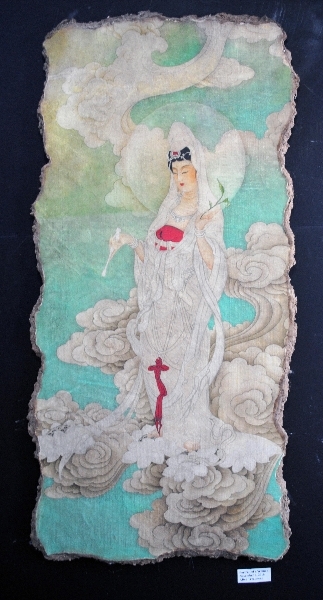 The answer can be found at booth #233- Lis Art Conservation and Restoration Services. All weekend I will be introducing the visitors of the Art in the Park to the value of art restoration and conservation. 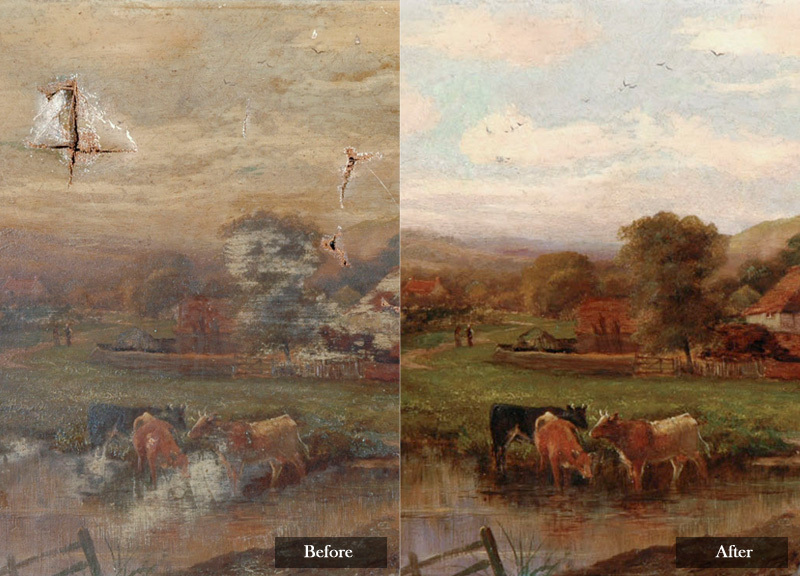 The number one response I receive is “I never knew before where to take my artwork for restoration”. I will be available to answer any preservation questions you may have or discuss a specific project. If you are inclined, bring a piece with you, and I can assess it onsite. For more information please visit www.artinthepark.com. The hours for the fair are Friday 11:00 AM – 8:00 PM, Saturday 10:00 AM – 7:00 PM and Sunday 10:00 AM- 5:00 PM. Please stop by my booth. I look forward to meeting you at the fair. This website is very informative. I will definitely stop by booth 233 in Plymouth this weekend to check out your display. Art in the Park in Plymouth. Loved visiting your booth at Plymouth Art in the Park!! Loved visiting your booth at Plymouth Art in the Park! I found your website very helpful and easy to navigate. Great seeing you at Art in the Park! Wow – great work showcased on the site, this is beyond impressive. 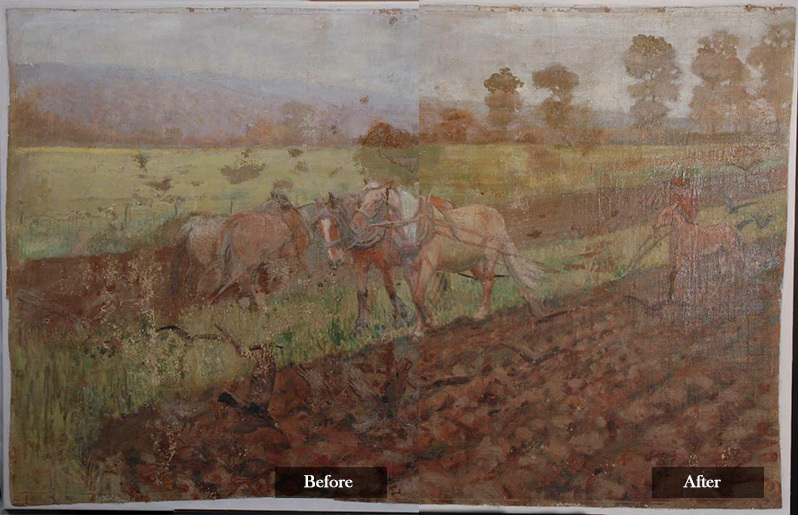 I have been looking for an Art restoration service that I could trust with some valuable pieces. After visiting the Lis Art booth at Art in the Park I know I will be in the right hands! to see your work in person . I will be in touch soon. Really enjoyed visiting your booth at Art in the Park. Your work is beautiful. great website! beautiful restoration work!! wow! your work is amazing. looking forward to working with you in the future. We visited your booth at Plymouth Art in the Park and were very impressed by your work. With your great talent, you fill a void with meticulous skill. Great to see you at Art in the Park. Your site is very easy to navigate. Beautiful work done by a true professional! Jennifer Lis is a very experienced and uniquely talented woman with her craft. I highly recommend Lis restoration. Great website. Very informative and easy to navigate.